PORTARIA. 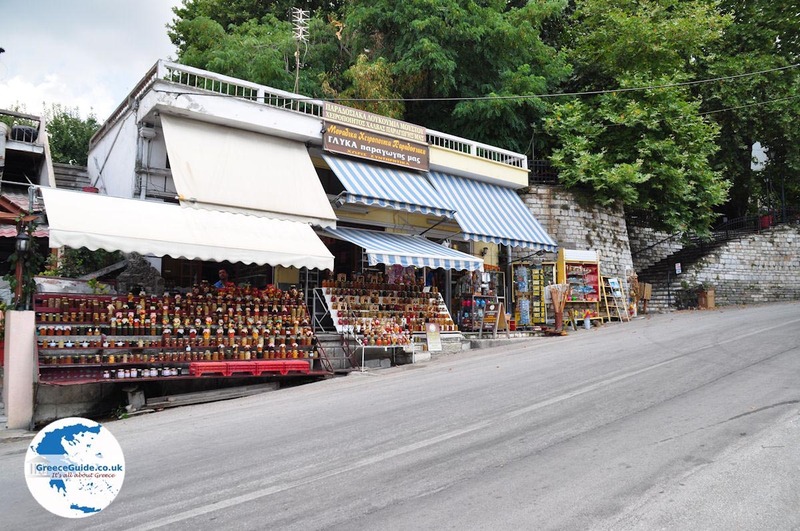 Once upon a time, Portaria was the main trading center of twenty villages of mount Pelion. Hotel "Theoxenia" in Portaria was in the early twentieth century, the largest and most luxurious hotel in the Balkans. Today Portaria is like the "host" of Pelion. 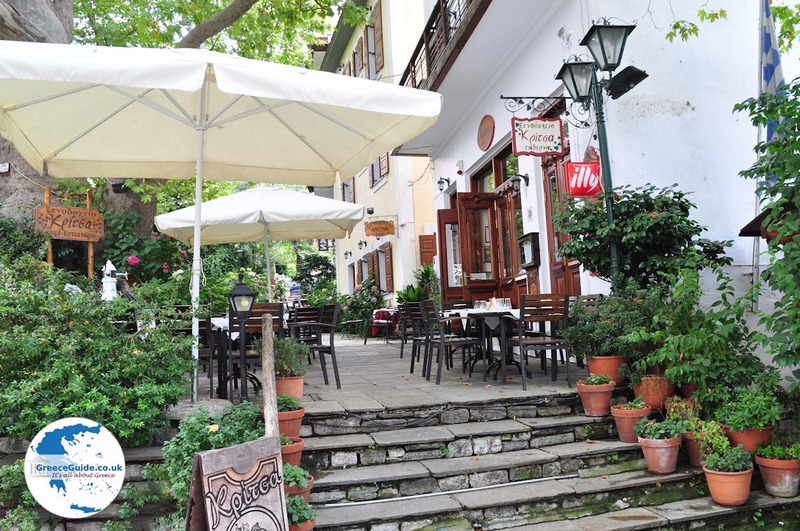 Worth a visit are the neoclassical buildings, many of them function as hotels. 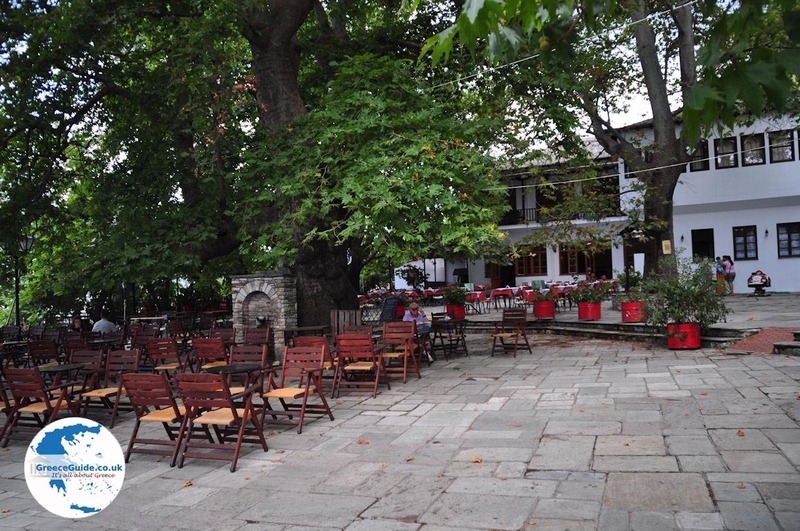 Every year, in late August, revives the tradition of the wedding which is celebrated in Pelion. 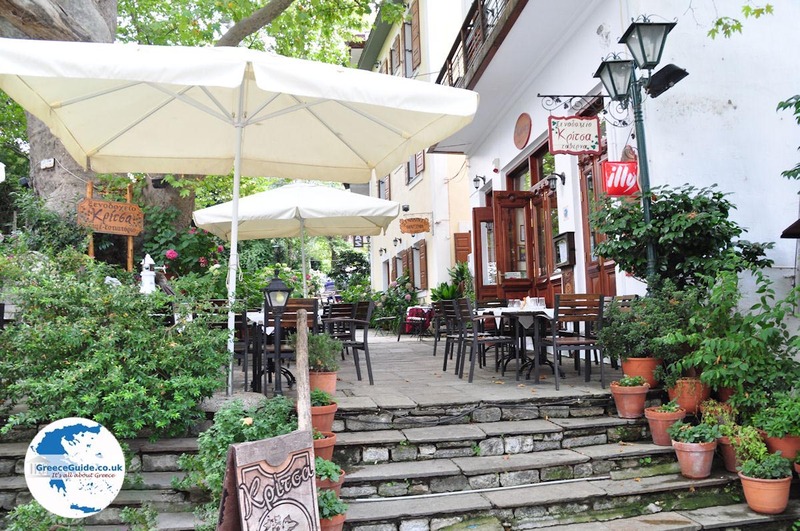 Portaria is located on the slopes of mount Pelion, 8 mi (14 km) from the city of Volos. From here there is a breathtaking view to the mountains and the Pagasitic bay. Portaria has lots of water, even on the central square where terraces and high trees are. 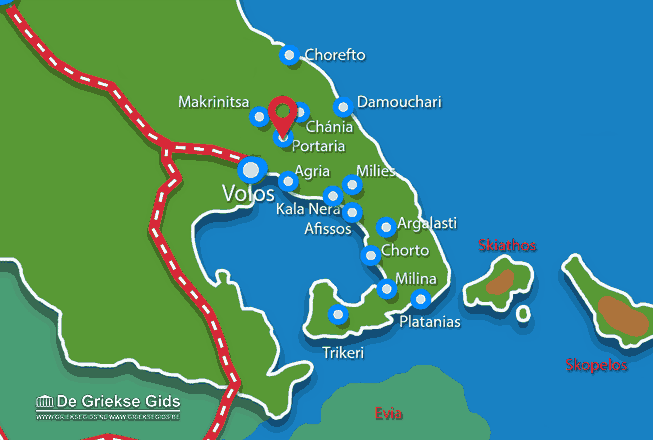 The Portaria municipality consists of four villages: Portaria itself, Alli Meria, Stagiates and Katichori. Portaria has been given the name of the Byzantine church of the Holy Mother 'Portarea' located here. Alli Meria is a newer village that was built in the traditional style. Here are grown flowers and there is a nice view of Volos. The village Stagiates located northwest of Portaria, just like the other villages, it is in the middle of a green area with lots of plane trees and other trees. Stagiates is known for its traditional sausages which are produced here. Each year, in the month of July, festivals are held, called "sausage party" in the central square of Stagiates. Also from here there is an excellent view to Volos. 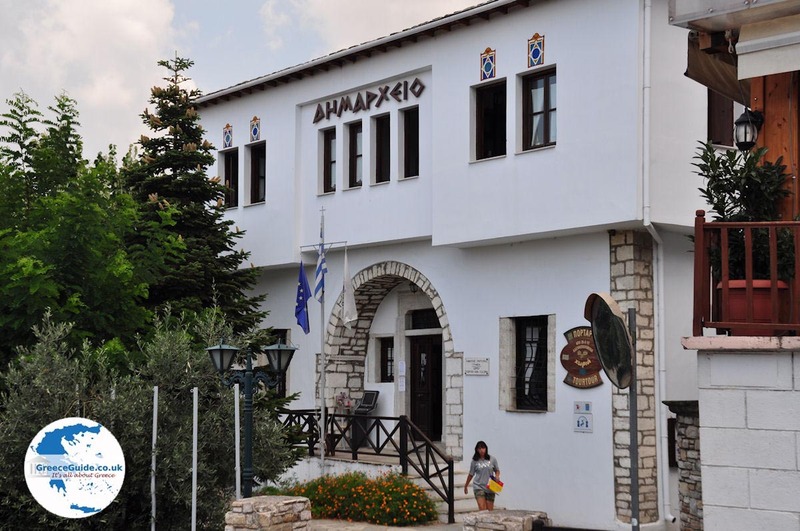 Katichori, also called Katochori(Kato = down = Chorio village), is located south of Portaria. 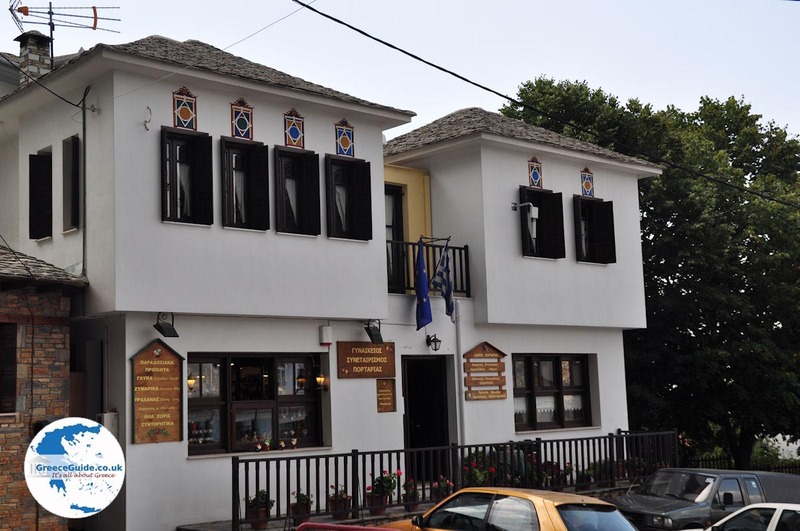 Here they make good wine and tsipouro (gin) of grapes. There are no large productions, thart's why it is mostly consumed locally. Another occupation of the locals is the production of olive oil. In the area around Portaria, there are thousands of olive trees. 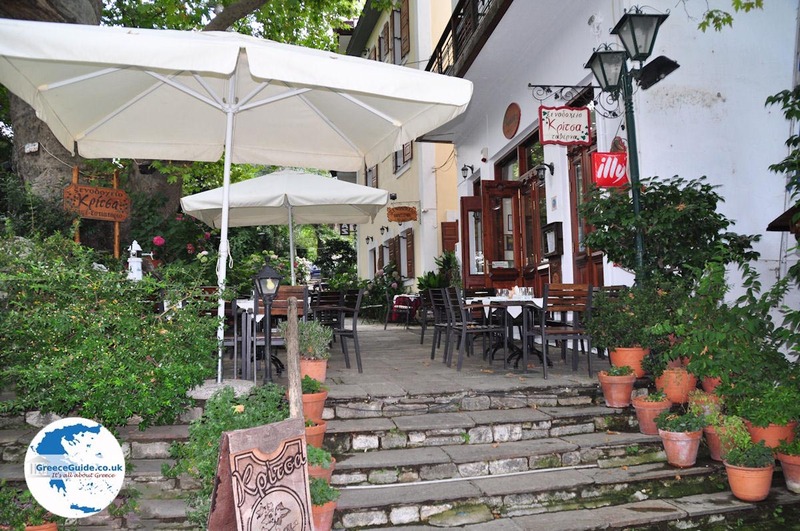 In the municipality of Portaria are many hotels where you can stay. 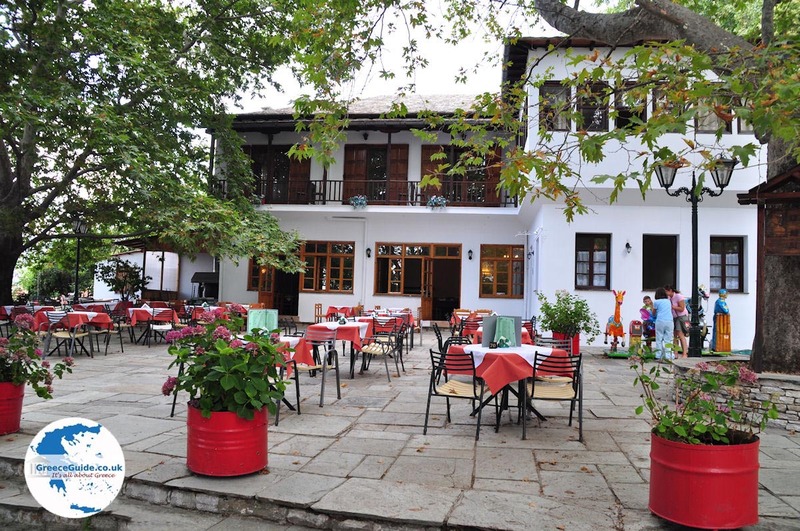 One of the most famous hotels is Xenia Palace Filoxenia other hotels are in the center of Portaria, Portaria Hotel & Spa, the resort Pelion, the 5 star hotel Maritsa and others. You can also hire a traditional house here. 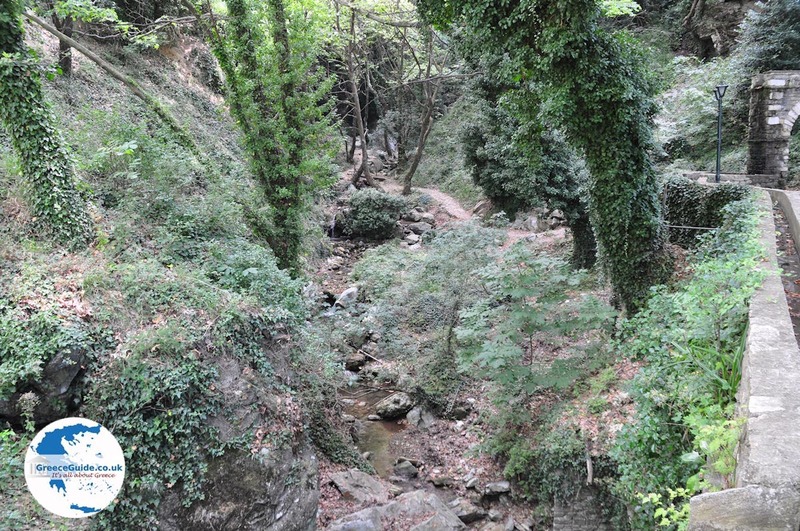 The villages of the municipality of Portaria are also very popular among hikers, there are many beautiful marked walks. All these routes have a name, so there is the "trail of the Centaurs" or the "trail of Jason."